Balkan Lloyd Limited is incorporated in Sofia, Bulgaria as provider of dedicated marine operations with a commitment to perform reliable and efficient transport activities at Bulgaria and the region of Black Sea and Balkans. 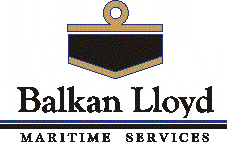 Backed with high professional experience of its founders in international shipping industry, Balkan Lloyd successfully providing qualified transport solutions; shipping agency ; complete logistics package for container shipments in-/outward and transit, consolidation arrangements, airfreight and land transportation, warehousing and distribution, inventory control. The company operates in close network of offices in main Black Sea ports and offers tailored logistics works for international traders, value added services to big supply chains. Highly-trained professionals in our group will establish flexible and rational transport route for cargo delivery by vessels, road transport vehicles, an aircraft, railway network combining various multimodal schemes. We offer customs clearance of goods, freight insurance and security services for transportation. Our customers are aware that Balkan Lloyd will handle their cargoes in any part of Balkans & Black Sea regions with maximum service for optimum price. Based on a rich experience in transportation of ferrous and non-ferrous metals, metal production, industrial equipment, chemicals, timber, rubber goods we offer dedicated services for project cargoes. Balkan Lloyd is acting as regular member of Bulgarian National Forwarders Association (NSBS), which is approved national member of FIATA and CLECAT organisations.